Kevin Becker is an organic geochemist working with molecular signatures of microbial communities in the ocean. 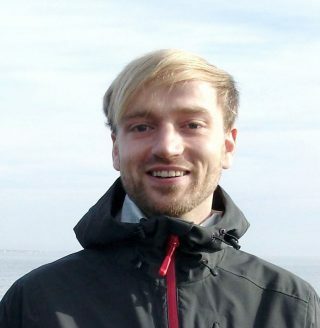 He has a PhD from the University of Bremen in Germany and is currently a postdoc at the Woods Hole Oceanographic Institution. He specializes in studying how and why organisms leave their particular chemical signals in the marine environment to provide insights into the microbial processes that drive biogeochemical cycles in the modern ocean and the geological past. On this cruise, Kevin will sample microbial communities in the surface waters to characterize their lipid profiles.